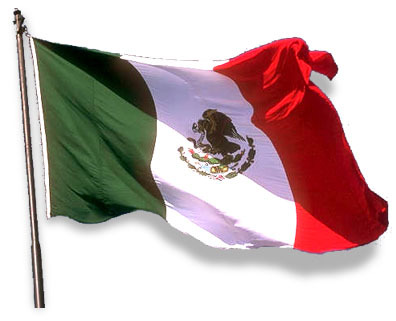 Cinco de Mayo: Festivities, Fun & Food! For Cinco de Mayo celebrations, we’ve come up with some tasty dishes! These fast and easy recipes are an upscale twists on traditional Mexican Cuisine. 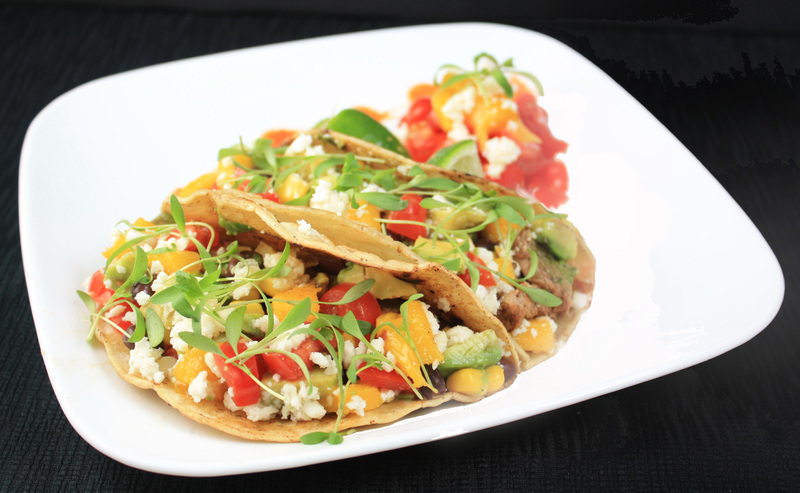 Both dishes are garnished with Fresh Origins Micro Cilantro. For such a tiny herb, Micro Cilantro packs an intensely fresh flavor. Adding this Micro to your dish will add a unique kick to every bite! Warm black beans in a pot. Slice Avocado in half, remove seed, scoop out the center of the slices slightly. In a bowl, mix crab, feta, sliced cherry tomatoes, mustard dijon, mayonnaise, olive oil, balsamic vinegar, salt, and pepper. 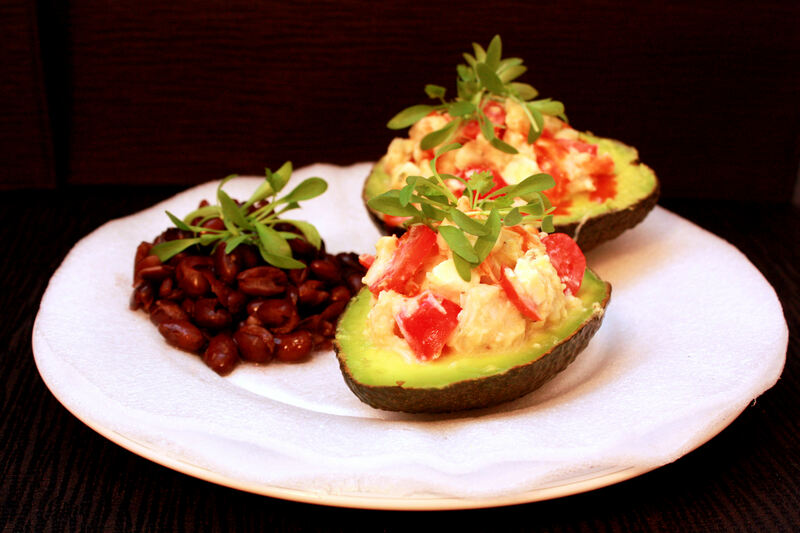 Add crab combination to the center of the avocados. Drizzle with tapatillo. Plate with black beans. Garnish with Fresh Origins Micro Cilantro. In a bowl, add duck breast, olive oil, salt, pepper, tapatillo, and lime juice. Set aside to let marinate. Saute minced garlic and chopped onions. Chop tomatoes, mango, avocado and crumble cheese. Set aside. Add duck and juice to the pan with garlic and onions. Add chicken stock and more of the seasoning mix if needed. Cover and slow cook at medium heat. When duck is cooked, chop into cubes. Fry tortillas in olive oil. Plate tortillas, add duck and onions, corn, black beans, tomatoes, avocado, mango, cheese, lime juice, and tapatillo. Garnish with Fresh Origins Micro Cilantro, a perfect addition to the layers of flavors in this dish, and not too overpowering.